How important is the knowledge shared in training rooms, classrooms or at events? Your expertise, your knowledge – they are the essence of what makes your company or university a success. Your employees think so, and so do your students. The meteoric rise of video communication and user-generated content has prompted organizations and universities large and small to evaluate how to harness the power of video to support their missions. But what’s the best way to capture that knowledge before it evaporates into thin air? And, more importantly, once captured, how do you ensure the most relevant content can be easily found in your growing video library? For more than a decade we’ve championed and perfected wide-scale, automated content capture, efficiently extracting and digitizing the knowledge shared every day, in classrooms or conference rooms. We identified key capabilities that we know are required for widespread adoption of user-generated content creation. Through that process, we eliminated much of the complexity that has kept online video from scaling effectively at an enterprise level. Because we’ve laid this groundwork, the next year will bring knowledge sharing that happens anywhere, in an automated fashion, regardless of technology infrastructure or users’ technical skills. We will see deeper management and security, while at the same time more flexibility in creation, workflow and consumption. We will help transform the vast libraries of flat video into interactive, indexed rich video though automated metadata creation and advanced search capabilities, thereby making video as useful as text, and just a link away from anyone who needs it. Paul Summers, Chairman & CEO of AllDigital, provides a look to what we can expect in 2013 for the online video industry. Steve Christian, Vice President of Marketing for Verimatrix, says over-the-top video will grow in 2013. Brad Hunstable, CEO and Founder of Ustream, says content production and distribution costs will drop in 2013. Nicol Verheem, CEO of Teradek, says 2013 will be an amazing year for the video industry. Dan Castles, CEO of Telestream, says a one-size-fits-all workflow no longer works. Nick Balletta, CEO of TalkPoint, says technology will meet ADHD in 2013. Scott Gaskill, President of Sovee, says we'll see a need for multi-language videos in 2013. Tom Wilde, CEO of Ramp, says 2013 will be the year of the second screen. Eric Burns, Co-Founder and Chief Product Officer for Panopto, says corporate YouTubes will hit a tipping point in 2013. Jeremy Helfand, Vice President of Video Monetization of Adobe, gives his prediction for what's coming down the pipe in 2013. Shawn Shadfar, CEO of omNovia, says 2013 will be the year of webcasting. Greg Pulier, President and Founder of MediaPlatform, says corporate YouTubes will boom in 2013. Samuel Wasserman, CEO of LiveU, says capturing and transmitting live video in the field is 2013's biggest promise. 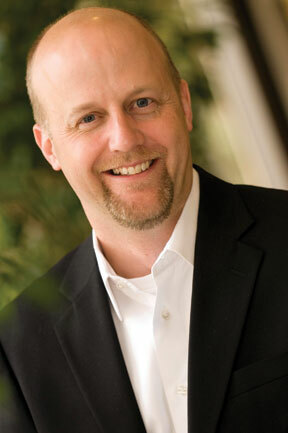 Jason Thibeault, Senior Director of Solutions Marking (Digital Media) & Product Manager, Limelight Networks, says workflow consolidation will be huge in 2013. Jim Janicki, President & CEO of Ignite Technologies, says business video in 2013 will grow tremendously as it becomes easier to use. Thierry Fautier, Senior Director of Telco & Multiscreen Solutions of Harmonic, says 2013 will bring simplicity, efficiency, and high video quality to multiscreen workflows. Chance Mason, Executive Vice President Internet Media Division of Haivision, says creating valuable user experiences will be the focus of 2013. Keith Wymbs, Vice President Marketing, Elemental Technologies, says in 2013, software-based multiscreen video processing infrastructure will dominate the video compression market. David Stubenvoll, CEO and Co-Founder of Wowza, says the quality of live and on-demand video will evolve in 2013. Philip Nelson, Senior Vice President of Artist and Media Relations at NewTek, says portable devices are the wave of the future.